Lucy Ritchard felt that she was always second best. Her older sister Meg excelled scholastically and socially, her younger brother Brad was a baseball star, and to everyone in Berkshire, Massachusetts, Lucy was sure she was known as "the undistinguished Ritchard girl." Because Lucy and Matador, her golden retriever who is always recovering the wrong things, are involved in calamity after calamity, Lucy's brother has sarcastically labelled her "Lucky Lucinda." When Professor Ritchard decides to spend the summer months writing a geology textbook on the coast of Maine, Lucy is delighted. In Maine she'll have a fresh start. She'll feel different, be different, and--maybe--finally shed the hated badge of second best. Despite Lucy's dreams, her mortifying introduction to the Kettle Cove Yacht Club starts the summer off on the wrong foot. Determined to erase that first bad impression, Lucy agrees to take sailing lessons with the Commodore of the Club. 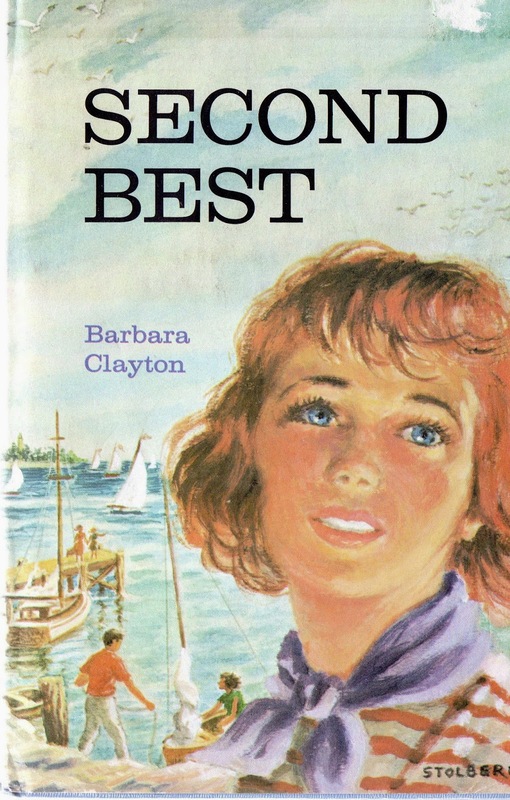 Too late she realizes that sailing involves more hard work and discipline than she had bargained for, and that all of her old difficulties have traveled along with her the four hundred miles from Berkshire to Kettle Cove, Maine, where first is all-important. A nearly disastrous accident forces Lucy and Marsh Norton, one of the young crackerjack sailors at the Club, to work off together the cost of the damages they have caused. Then, strange lights and happenings on spooky Witchpaw Light tempt the two of them to investigate the deserted island lighthouse and unravel a tantalizing mystery.